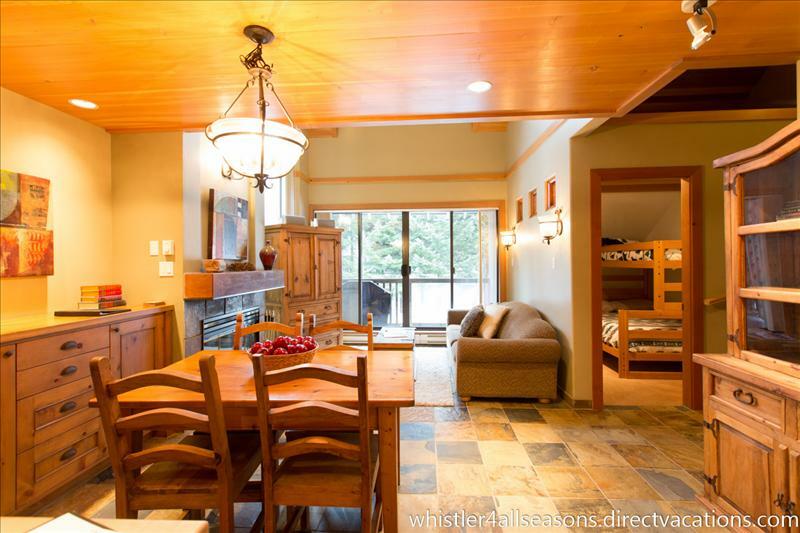 Welcome to our comfortable yet cozy two bedroom rustic retreat located in The Gables – the best location in Whistler. Our home sleeps five people and has a wonderful open design. Right next to Fitzsimmons Creek and surrounded by the forest and still close to everything Whistler has to offer.